Macon Celebrates Otis Redding 75th Birthday! Macon Celebrates Otis Redding&apos;s 75th Birthday! 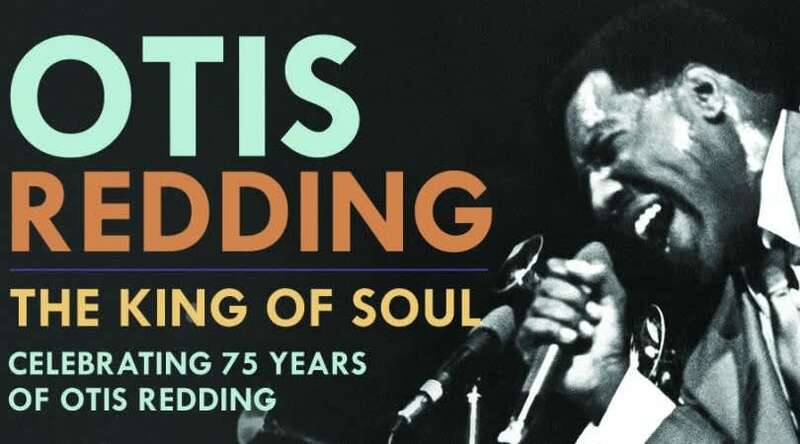 The Otis Redding Foundation is celebrating the birthday of one of Macon&apos;s greatest legends, the late Otis Redding. The celebration is happening September 9 - 11. Here are some of the exciting events occurring during the three-day celebration. Otis Redding Day will take place on Cherry Street Plaza at the Terminal Station at 8 a.m. with live music and entertainment! There will also be a special free screening of TV One&apos;s "Unsung, the Story of Otis Redding," showing at the Douglass Theater at 2 p.m. and 6 p.m. The Tubman Museum is showcasing the Otis Redding exhibit on both September 9 and 10 from 9 a.m. to 5 p.m.
Bragg Jam and the Macon Film Festival are sponsoring "A Picnic Under the Stars with Otis Redding" on Coleman Hill at 9 p.m.
An Evening of Respect Tribute Concert will be held at the Macon City Auditorium at 7 p.m. 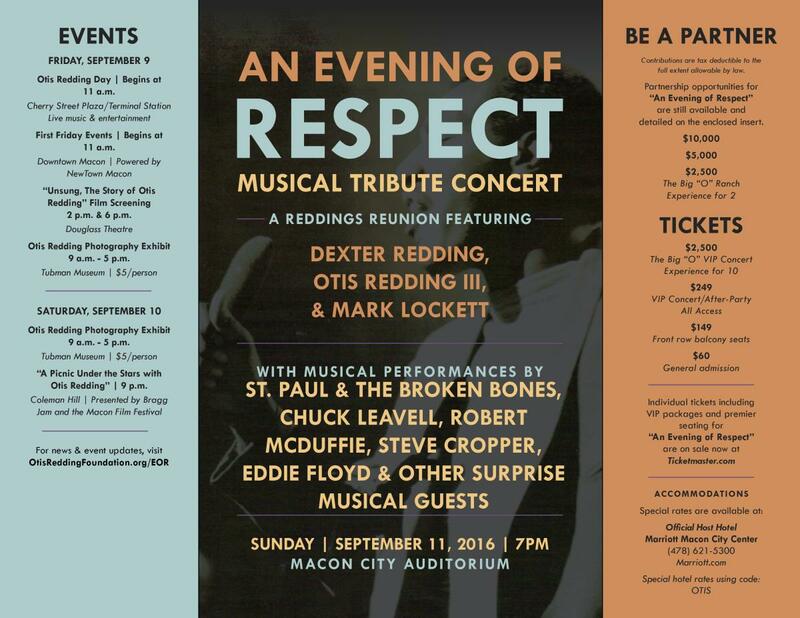 The Redding&apos;s reunion will feature Dexter Redding, Otis Redding III and Mark Lockett. With musical performances by St. Paul and the Broken Bones, Chuck Leavell, Robert McDuffie, Steve Cropper, plus another surprise guest, Eddie Floyd. Tickets are available at www.Ticketmaster.com. For more information, contact the Foundation office at 478-742-5737. Come out and join this great celebration. It will definitely be an event you won&apos;t want to miss!